If someone you know is expecting to hear the patter of tiny feet soon, you’ll want to check out these exquisite handcrafted Clancy Baby Booties by Wootten. Available in the on trend colours of oak tan, cedar brown and the delectable gold foil, these unique creations make one stunning baby shower gift. 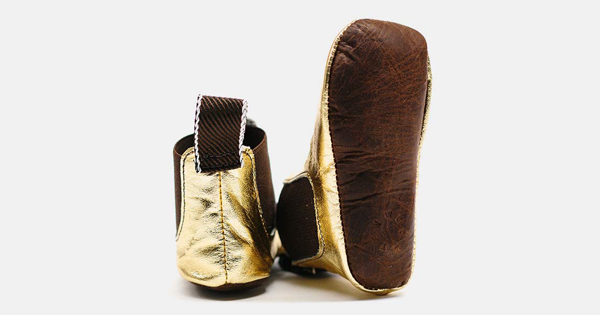 Australian made by traditional leather craftsmen, these booties are the real deal, with a classic gusset, elasticated sides and webbing pull-tabs to ensure easy dressing of tiny tootsies. 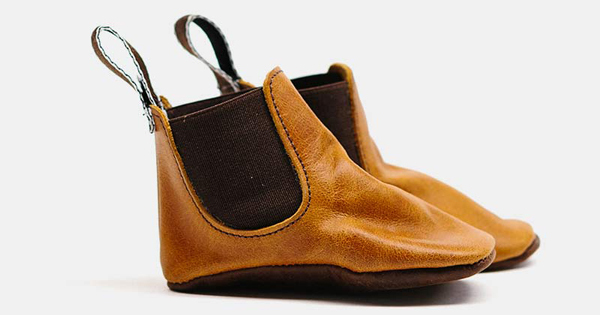 With two sizes available for babies under a year old, there should be a bootie to suit every style conscious pre-walker. Tiny feet could not be snugger than when nestled inside these super soft-soled booties, the perfect blend of comfort and cuteness. 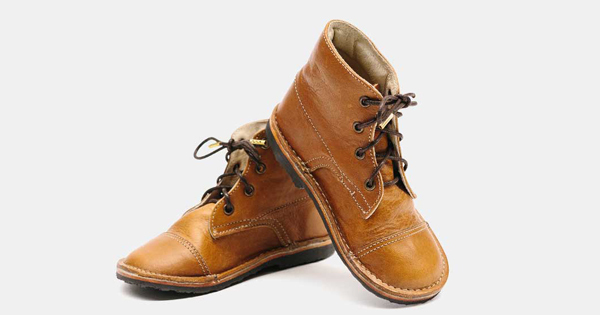 The adorable Orson Boot is available for older children who are already up and running. Available in sizes five to nine these deliciously refined boots feature classic derby toecaps with soft and flexible rubber soles for little feet to move, play and grow in. The Orson comes in a rich saddle tan or you can request your own custom colour! The Clancy Baby Bootie is $55 and the Orson Boot is $295 from Wootten.